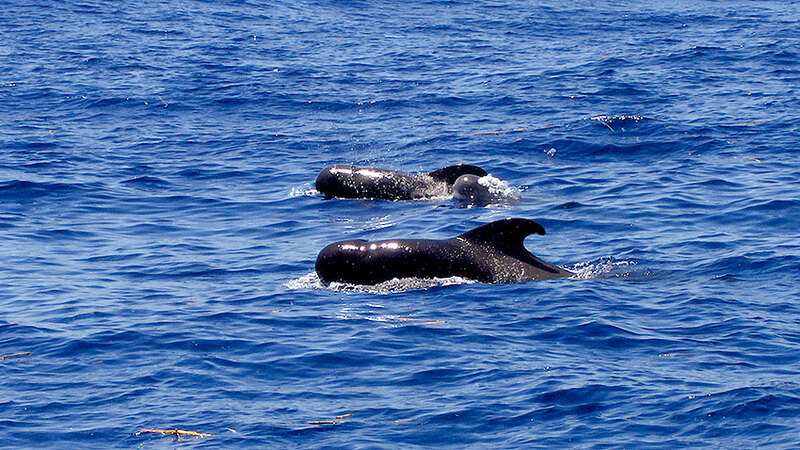 Madeira Island is one of the most privileged places in the world for seeing many of the Cetacean species. Since 1986, the hunt for whale is forbidden around the Archipelago of Madeira, up to 200 miles. Therefore Madeira is a natural reserve that has become a sanctuary for all these species and also for the rare Mediterranean monk seal (lobo marinho). A great number of whales pass through the Archipelago of Madeira each year, and according to a recent research 28 different species of the 78 known have already been identified, what means that 1/3 of all kinds of whales can be seen on this island, from various dolphin species to great blue whales. Do not try to go near a whale on a sailboat.